Any of the above deals look appealing to you? What deals were you able to score this Black Friday? SEATTLE–(BUSINESS WIRE)–Nov. 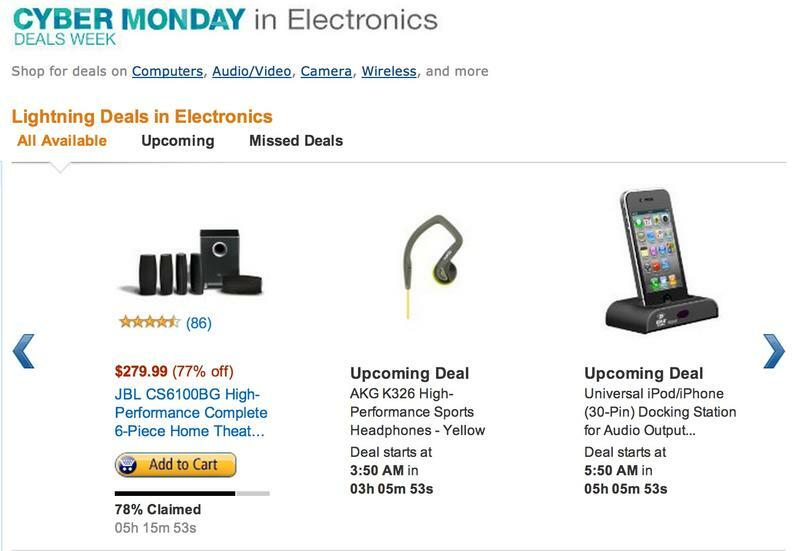 29, 2013– (NASDAQ:AMZN) — Starting at midnight on Sunday, Dec. 1, Amazon.com will open its Cyber Monday Deals Storewith new deals as often as every ten minutes, including 50% off select top toys and 50% off a 46-inch Samsung LED HDTV. Shoppers can find seven days of savings this year filled with hundreds of deals each day including items eligible for Free Shippingand Prime Free Two-Day Shipping.